Few weeks ago, I was surfing the shelves of a local bookstore when I came across an omnibus of He-Man and the Masters of the Universe. My daughter, who was with me, was surprised that I knew about He-Man. Little did she know that I used to get up early on a Sunday to catch up on the show on TV during the 1980s. As I look back, the lessons at the end of the show, which I used to find “interesting”, to say the least, are so relevant. 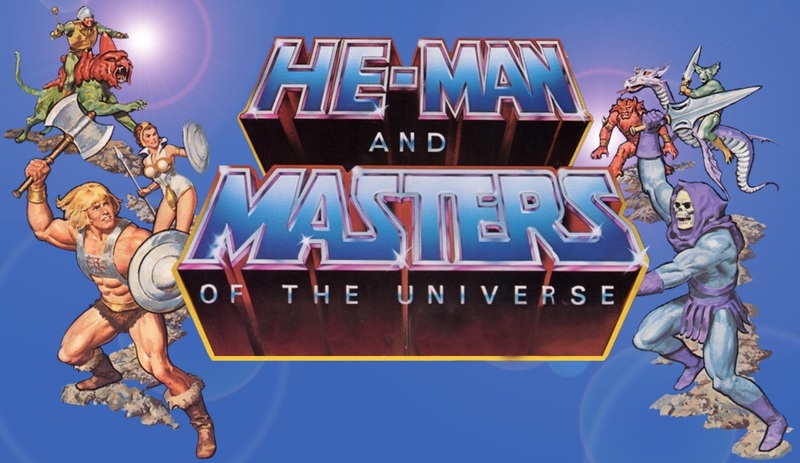 Here are five (plus a bonus) management lessons that we can learn from He-Man and the Masters of the Universe. If you ever watched a show, you will notice that the theme and format of (almost) every show is same – evil attacks and good triumphs. The good side or the evil side are not just one person – it is a team of people. Skeletor heads the evil troupe, and He-Man is leader of the good. Skeletor hatches a new scheme to rule Eternia, and attacks Eternia with the help of his cronies. Sorceress warns Masters of the Universe, who come together to save the day. 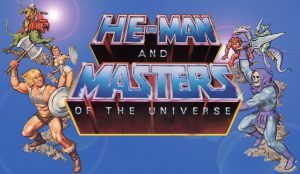 Eternia is not saved by a single person but a team of Masters – Sorceress warns, Mech-a-Neck does reconnaissance, Startos provides air support, Man-at-Arms provide strategy, weapons & gadgets, and He-Man and Teela provide the raw power to fight on the ground. On the other side, Skeletor’s team does not work together, each one has their own agenda that conflicts with the others and hence their every attempt to capture Eternia fails. The same principle applies in our work lives. When working on a project, it is important that the team works together. Everyone contributes to the common goal and move forward. When a teammate needs help, the others lend a hand, pick them up and move on. If the members of the team do not work together, then the dysfunctional team will soon face failure. In one of the episodes, the Eternian bees species do not get along with the bird species. Kings of both the species do not want Skeletor to overrun their kingdoms. They take extra steps to fortify their castles, however that does not help the other. In the episode, each (almost) lose their kingdoms to Skeletor. Although they realize their mistakes that they were not aligned and working together. Once they join forces, Skeletor is easily defeated. When working on a team, it is important to move forward “as a team” and equally important is moving forward in the same direction. Project teams have members from different departments and each of them bring their own needs and agendas to the table. It is needed that all the needs and agendas of team members have alignment towards the same goal. The ones who do not align to the common goal should not be part of the team; otherwise the project gets pulled in different directions, which will cause delays or worse, failure. When on the same team, work towards a single goal. One of the Masters, Mech-a-Neck, who can stretch his neck and does reconnaissance work in the TV show, starts to feel that he is not as important as the rest of the Masters. He thinks that even one of the robots of Man-at-Arms can replace him. Of course, the show predictably ends in him realizing that the work he does is important. At some point or the other in our lives, we have all felt or made ot feel that we are not as useful as the others. This is an extreme outlier case. Every cog in a machinery is important when they are part of the team. A cohesive team can work together better and faster than a team where folks have their own selfish agendas. When in doubt, just take a 15 min break, and recall all the work one has done in the past few years as a part of the team. You will find ample examples where you have stepped up and rose to the occasion and saved the day. Another important aspect is to understand that others are also equally important. I have met so many people who feel that they walk on water. Yes, they are smart, but when you fly solo, you can get a meteoritic rise that won’t last forever. Everyone on a team serves a function and is important, including you. Whenever Skeletor attacks Eternia, Masters have very little time to strategize to do a detailed planning. If they would have spent too much time in planning, Castle Grayskull would have fallen long time back. They gather information (Mech-a-Neck’s reconnaissance), assess the situation, decide on action to be taken and take action. In the corporate environment, we do not have luxury of endless time. The world keeps shrinking their times-to-market. There is a time to plan and then there is time to act. Planning cannot go on forever, and action cannot be without any thought behind it. When time comes to act, gather your wits & all the information you need, do an assessment, make a decision and take action. Not taking an action in today’s world will harm your business. When you have all or sufficient amount of information needed to take the next step – decide and act upon it. Do stay perpetual planning. In every episode of show, Eternia is destroyed by Skeletor. And in every subsequent episode, the people of Eternia are rebuilding their home. Home insurance must be very high in Eternia. Although it may be tough to live there, it shows resilience of the Eternians to learn from past, and then move forward. Man-at-Arms helps build barriers that are stronger and better fortified. That is a very important lesson I think. There is an old Indian saying, “Don’t fret over spilled milk”. I take it a step forward, “clean up and don’t let it spill, next time”. We all make mistakes and face failures. What is important is to learn from past and move on. It is very useful to develop a habit of looking back and deconstruct what went wrong. Sometimes we are too attached to a project to look objectively. In such cases ask a friend or a colleague you trust for help. Let them help you understand what went wrong. Learn from past mistakes, and take steps not to repeat them and move on. Moving on armed with new knowledge not to repeat mistakes is an asset that will prove very useful. Yes, I did say Five lessons, but as I am writing this, I found another lesson. Every time Skeletor and his forces attack, Sorceress, who is the guardian of the Castle Grayskull, provides guidance to He-Man and Man-at-Arms to help steer them in the direction that will change the outcome of the battle. It is through her guidance that Eternia gets saved, no matter how bleak the circumstances. She is the voice of motivation, the voice of reason and the voice of guidance. And thus the importance of leadership – a voice of reason, guidance, inspiration and motivation. Leaders are always needed to provide the team with a vision of a goal for the common good and the team has to be able to buy into it. Too many times the vision does not get shared down to the team members. That always results in loss of motivation for the individual contributors on the team. Leaders at every levels of management need to share the vision with team members to keep them “in the loop” and bring overall motivation and alignment. As a kid, I never thought that He-Man and the Masters of the Universe will have so many lessons, much less management lessons. As an adult, I see so many parallels. There are also allegorical parallels of the TV series; that is an article for some other time. For now, that’s all folks!